The Sinister Silencing of the Irish Media - Charley Brady - Opinons; My Own. Come to think of it, looking at the jib on him, he reminds me of a bully from my schooldays: big, chunky and nothing much to look at, but good at blustering through a situation and with a firm conviction that no one he encountered ever really mattered a damn. I’ll get back to Denis O’Brien in a minute, though. Firstly, commiserations to my neighbours in Oranmore and Athenry who were under the false impression that by supporting James Charity last year they were supporting an Independent. As it turned out, they were in fact helping out Creepy Creighton and that famous snake oil salesman ‘Honest Eddie’ Hobbs. Yep, Mr. Charity took your help and used it to join Renua, the party with the leader who doesn’t have an issue with your wages being interfered with at source. Maybe you don’t have a problem with this. In that case, I’m happy for you. Me, I’d be asking how much I could in the future trust a man who promises one thing and then does another. It sounds like the kind of guy who will get on just fine with Creepy and ‘Honest’ (“I’ve got a used car here”) Eddie. More importantly is the drama unfolding around us that we’re not allowed to talk about in a free society. Yeah, it’s Big Denis; and the fact that Denis doesn’t want anyone talking about him has people outside of Ireland very curious. Last night (May 30th) Cliff Carlson, editor and publisher of Irish American News in Chicago, asked me to put together something fast and he then put this out. 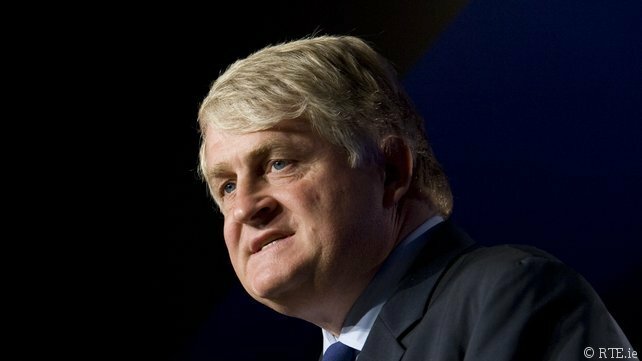 As anyone following the news in Ireland for the last couple of days will know by now, any commentary on businessman Denis O’Brien is being removed as soon as it’s posted. Frustrated with this, I have quickly lifted this piece from the net (29th May) as I think it covers everything to date. It will have been removed by now so I appreciate Editor Cliff Carlson for printing this on your side of the pond. Baffling how O’Brien’s injunction against one specific entity seems to have spread to everyone. I salute your First Amendment! This is a cautionary tale of how unhealthy it is to have one man with too much media power. I must emphasise that I am not the person who wrote this but if he/she makes themselves known I’ll gladly credit them. I’m asking everyone in Ireland to repost this article which was printed by Broadsheet last night. All of the Irish media have failed to report on Catherine Murphy’s revelations about the dealing of Dennis O’Brien. He has gagged Irish media and RTE with his threats of court action. So it’s up to those of us with nothing to lose but more of an interest to print, copy tweet and post wherever we can! Please repost! Catherine Murphy, Independent TD for Kildare North, dropped a series of revelations in the Dáil today concerning alleged preferential treatment given to Denis O’Brien by IBRC, formerly Anglo Irish Bank. The claims emerged as Ms Murphy introduced a bill to permit the Comptroller and Auditor General to investigate the Siteserv sale and other IBRC transactions. “This bill extends the functions and powers, or seeks to extend the functions and powers of the C & AG [Comptroller and Auditor General] to cover IBRC. It was the Taoiseach that first suggested that the C & AG review the Siteserv sale’s process and it was then pointed out to him that IBRC does not come within his remit. “The review is not confined to Siteserv but it is the transaction that prompted a review. I would worry about the transactions that have been excluded from the review, given that what we now know, that in the final months before prom night, the relationship between the department and IBRC had completely broken down. “We also know that the verbal agreement was never escalated to the credit committee for approval. I’m led to believe, and I would welcome the minister clarifying, the rates applicable at this time, that the extension also attracted some extremely favourable interest terms. “I understand that Mr O’Brien was enjoying a rate of around 1.25%, when IBRC, and arguably, when IBRC could, and arguably should have been charging 7.5%. We are talking about outstanding sums here that are upwards of €500million. The interest rate applied is not an insignificant issue for the public interest. “We also know that Denis O’Brien felt confident enough, in his dealings with IBRC that he could write to Kieran Wallace, as the special liquidator and demand that the same favourable terms extended to him by way of a verbal agreement could be continued. “ We now have Kieran Wallace, who’s been appointed by the Government to conduct a review into the IBRC review, actually joining with IBRC and Denis O’Brien in the High Court and seeking to injunct the information I’ve outlined from coming into the public domain – surely that alone represents a conflict. “In FOI documents released to me, the minister, his officials and the Central Bank and even the Troika acknowledge that IBRC, the former Anglo Irish Bank, is no ordinary bank and there’s a significant public interest because the bank had been fully nationalised and was in wind-down mode. “They all accept that this is the people’s money that we’re dealing with and that there can be no dispute regarding the public interest in this. The same FOI materials detail incidences where the minister can specifically intervene, and issue a ministerial order that material matters have significant interest. Included in these material matters are incidences that are outside the ordinary course of business. “I would argue that what I’ve outlined out here regarding verbal deals, extensions, etc, are outside the normal course of business and I would ask the minister to exercise his right to intervene in the current proceedings and defend the public interest. “The Government Chief Whip told me that they would not be altering the KPMG review, the Government would not be giving time to debate this issue and suggested that we use Private Members’ time. Scary update: Solicitors acting for Denis O’Brien have asked us to remove this post asserting that it is a breach of a High Court Order [O’Brien Vs RTÉ]. They gave a 7pm deadline or they would begin injunction proceedings. We have replied that article 15.12 of the constitution allows all Dáil statements “wherever published” to be privileged and we currently await their response.